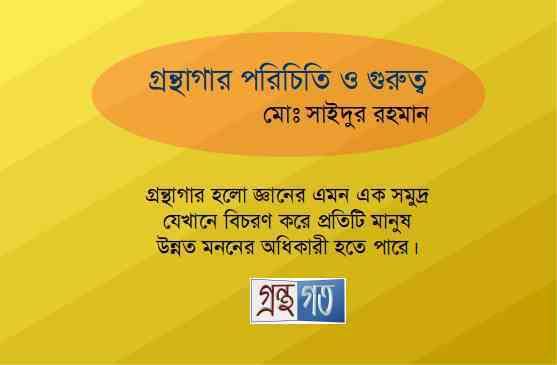 Wikipedia লাইব্রেরিকে সংজ্ঞায়িত করেছে- A library is a collection of sources of information and similar resources, made accessible to a defined community for reference or borrowing. It provides physical or digital access to material, and may be a physical building or room, or a virtual space, or both. Wikipedia অনুযায়ী – A librarian is a person who works professionally in a library, providing access to information and sometimes social or technical programming. In addition, librarians provide instruction on information or information literacy. ভার্চুয়াল লাইব্রেরি হচ্ছে- A collection of resources available on one or more computer systems, where a single interface or entry point to the collection is provided.